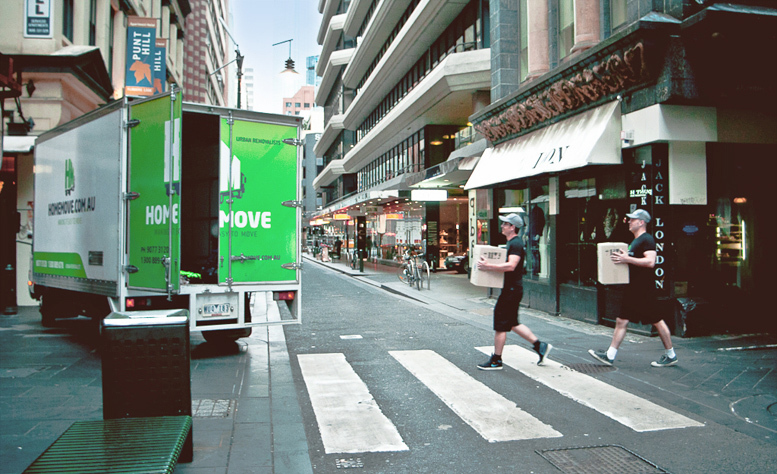 HomeMove started with a focus on being Urban Removalists, which meant taking on lots of city jobs with difficult access. Over the last 9 years we’ve learned a few tricks and have used this knowledge to create our unique apartment moves training program. You can be confident our trained experts have the dexterity to manoeuvre tight passageways and the fitness to climb stairs all day. We also have the team work to co-ordinate your lift move efficiently. We can even provide balcony lifts when those awkward pieces of furniture just won’t fit up the stairs. In short, we’ll ensure your move goes off without a hitch! 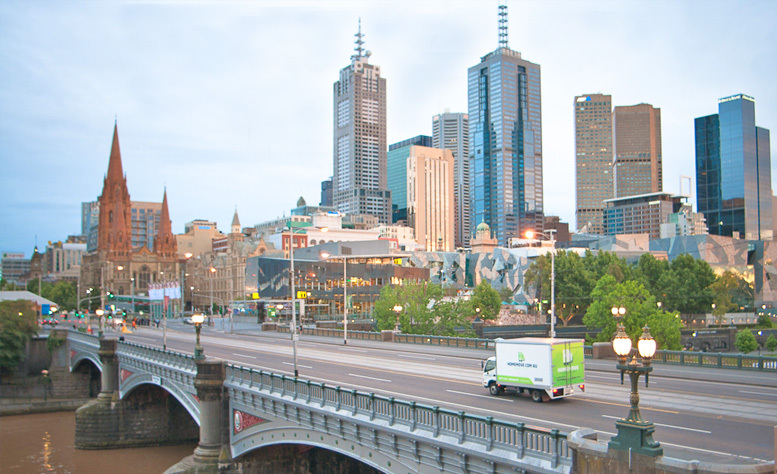 Some Challenging Melbourne Apartment Moves We Do with Ease! – 173 to 183 City Road Southbank. First negotiate an automatic carpark door, then a long winding walk up 2 levels through an underground carpark, then load the lift for access to higher floors. Parking can also be at a premium. – Eureka Towers 7 Riverside Quay, Southbank VIC 3006. Melbourne’s tallest and possibly most iconic residential building. Move in in and out procedures and times are strictly monitored by management and all paper work and insurance documentation must be prepared prior to the move. Depending on where your apartment is you may find the additional complication of having to move your items, into one lift (to/from the loading bay) and then transfer them to a second residential lift. 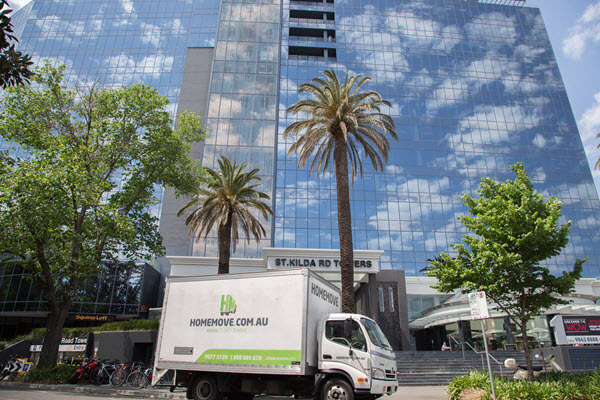 This can take some added time, but, you can be confident that HomeMove have plenty of experience ensuring Eureka Tower moves run smoothly and on time. 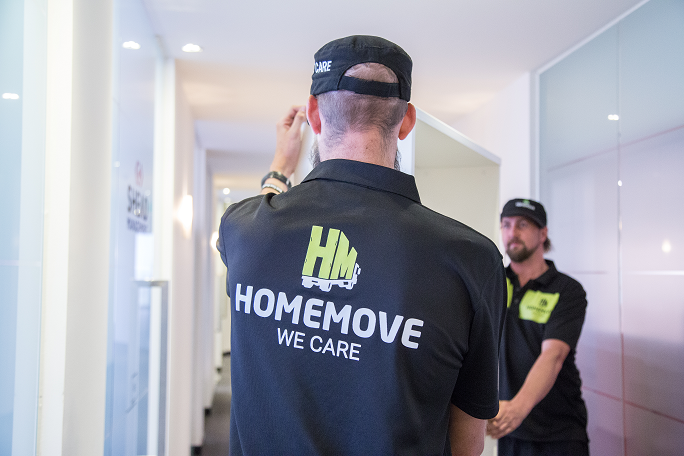 Your HomeMove Heroes are ready for the challenge! Think about a shuttle vehicle. Some highrise buildings will require items to be moved into the lift from a first or second floor. This typically means a very long walk through an underground carpark to or from the removals vehicle. A low roof van or ute, can be great option to ferry your belongings safely and speedily from truck to lift, which again will save time and money. Book your lift times. Many Building Managers have restrictions on the day and time you can move. Lifts are usually designated for 2 to 4 hour windows. We recommend booking your spot well ahead of time. Imagine the frustration and added cost of arriving at your bright new apartment, to have your fully loaded removals truck, barred from entry! Always speak to your building manager. To avoid unwanted surprises with apartment moves, ask about any particular move in/move out procedures. Make sure you pass this information onto your removalists. Lock and Pad. If possible ask your Building Manager to lock your lift off for exclusive use and pad the walls and floors. This will save time and ensure your not paying removalists to wait for a vacant lift to become available. Make sure your documentation is in order. Many Building Managers require removalist s and or tenants to complete Indemnity Forms prior to the apartment move. We recommend having these forms completed before move day, so there are no paperwork delays. Your removalist may also be asked to provide a Certificate of Currency for their Public Liability insurance. Your removalist can email this directly to your building manager, however, we always advise requesting your own back up copy.